Kellen Degnan is a versatile musician, active as both a performer and educator. An accomplished orchestral cellist, he is a member of the Toledo Symphony Orchestra and Ashland Symphony Orchestra, and was previously a member of the Ann Arbor Symphony Orchestra. He has also performed in the Canton Symphony Orchestra, Akron Symphony Orchestra, Traverse Symphony Orchestra, and Erie Philharmonic. Kellen is also an avid chamber musician. He is intimately familiar with the standard string quartet repertoire, and has worked with outstanding artists in the field. Most recently, he attended the ENCORE String Quartet Intensive Seminar in the summer of 2017, where he received coachings from members of the Cavani String Quartet and participated in masterclasses led by the Jupiter String Quartet, Kim Kashkashian, Clive Greensmith, and Jinjoo Cho. He is equally comfortable with the sonata repertoire, having received instruction from pianists Christopher Harding, Anita Pontremoli, Kathryn Collier, and Martin Katz. One of Kellen’s greatest passions is the performance of contemporary music. As a student at University of Michigan, he was a founding member of Converge New Music, a collective dedicated to the performance of works by student composers, which is still active today. He has participated in a number of premiere performances, and most notably gave the 2017 premiere of Harriet Steinke’s Suite for Two Cellos, which was written for performance at his second student recital at the Cleveland Institute of Music. He is also a member of the artistic committee of the Detroit Composers Project, which will present its inaugural concerts, including four newly commissioned works by Michigan composers, on September 9, 2018. His performance activities extend beyond the classical realm, as well, and he has collaborated on several tracks with Detroit-based band SIAS. Kellen is also a passionate teacher and educator. He studied pedagogy through the Cleveland Institute of Music’s renowned Suzuki pedagogy program, and is certified as a Suzuki cello teacher through Book 4. 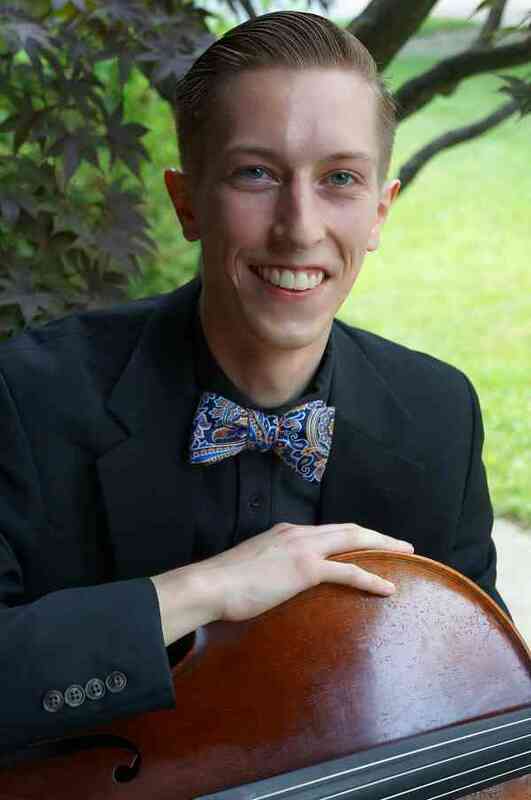 He recently accepted a teaching appointment at Mercyhurst University in Erie, Pennsylvania, as Adjunct Instructor of Cello in the D’Angelo Department of Music and Suzuki Cello Instructor in the Sullivan Conservatory of Music, and will begin teaching there in September 2018. Kellen also offers private cello lessons at his home in Cleveland Heights. Kellen holds a Bachelor of Music degree from the University of Michigan, where he studied with Anthony Elliott, and a Master of Music degree from the Cleveland Institute of Music, where he studied with renowned Cleveland Orchestra cellist Richard Weiss. He has also performed in masterclasses taught by Alisa Weilerstein, David Geringas, and New York Philharmonic principal cellist Carter Brey.